Beach pajamas! So cool, I’m planning a set for the summer 🙂 Can’t wait to see them! Thank you! And can’t wait to see yours, as well! Love your hair like that! Cute look! This is such a fab casual look! I love it! And that is hilarious that he kept calling us The Colonies! Hahahaha!!! Awesome outfit, sweet dear! 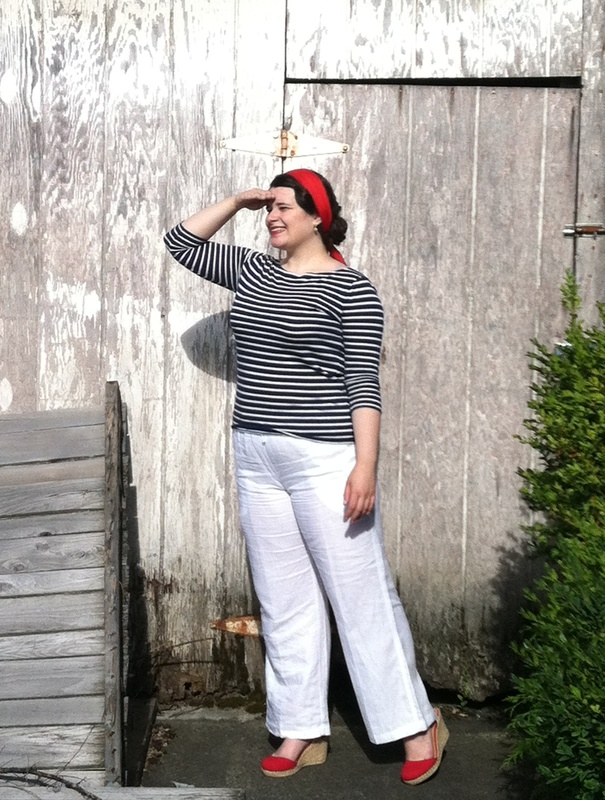 It’s a refreshing chance of pace to see someone in the vintage realm rocking white pants. You’ve styled them so wonderfully. 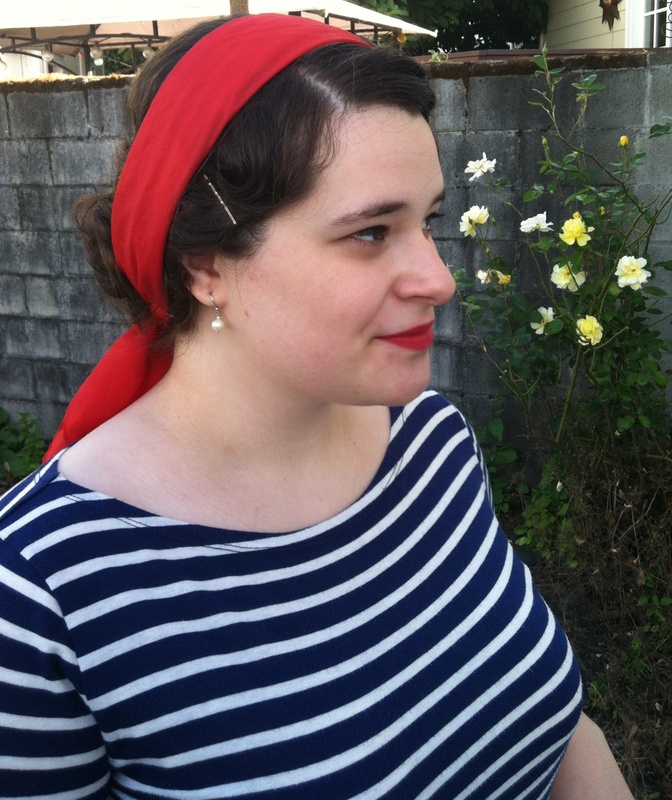 I really like that you opted for a nautical meets patriotic colour palette. 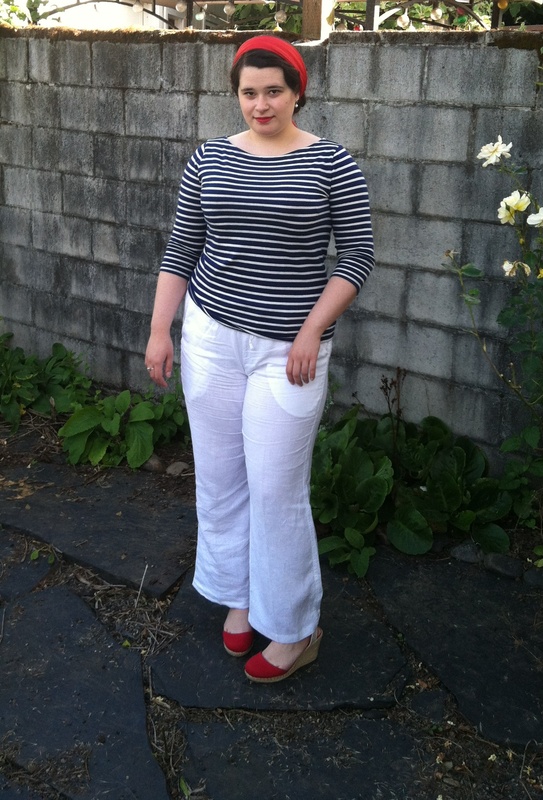 For the first time in many years, I suddenly want a pair of white pants myself. May I ask, since you mentioned they’re modern, where did you get yours from? Aww, thank you so much, Jessica! 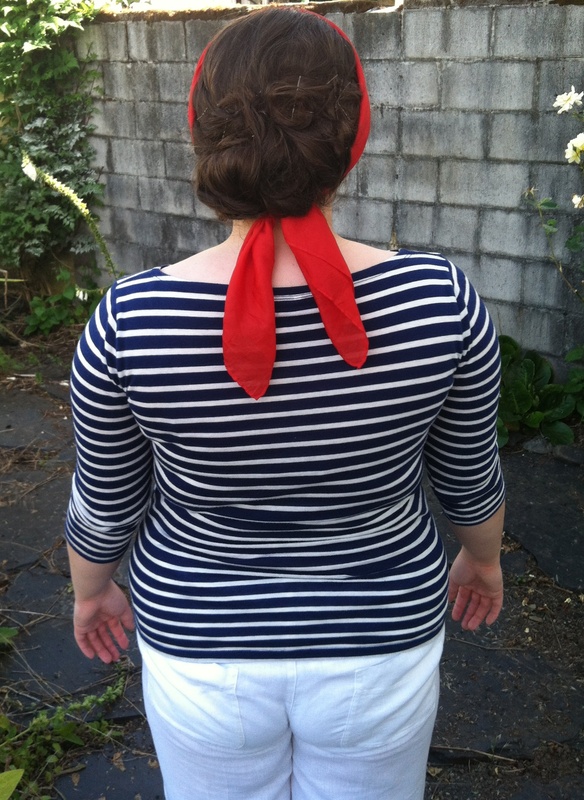 I love the nautical feel of this outfit, as well, and so I think I’ll wear it again sans the pops of red. As for the pants, I found them several years ago at a thrift shop. Needless to say, they’ve been sitting in my closet for quite a while waiting to be worn (I’m such a clothes horse! I have several pieces like this that I’ve bought but never worn).